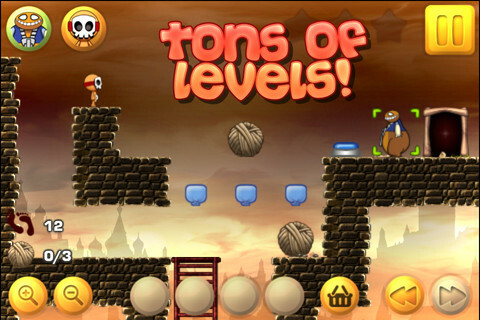 "Ninja TD is a defense type game with a martial arts twist. It has five themes including wind, thunder, ice, fire, and sand. It's comes with 30 complete stages and 2 levels of difficulty to challenge both the TD newbie and the seasoned veteran. In addition to these, it also have endless mode." 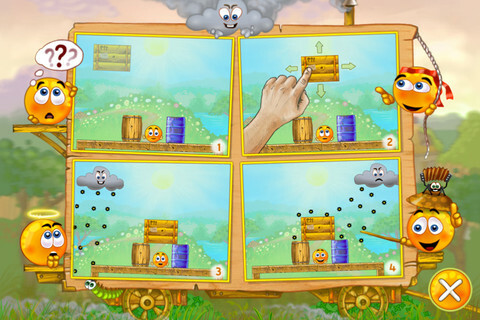 "Combine the efforts of five different ninjas in Crazy Carpenter's game. Yes, it's a tower defense game. Yes, we've already got several dozen on our iThingies. This is a very pretty game however, and well worth taking a look at for the price of nothing." 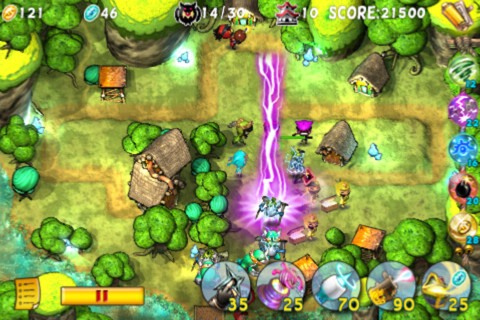 "This well-received game is well worth downloading in this temporary promotion. Use all of your cunning to re-arrange the environment to keep your little oranges happy." "Voodoo Friends is a platform puzzle game, where you are controlling three voodoo dolls on a quest for yarn. To solve the levels you must combine their different abilities, and pierce them with magic needles to give them new powers." "Voodoo Friends may not have the most sophisticated visuals on the App Store, but that's more than compensated for by the satisfying puzzle-solving and generous content on offer."